Add functionality and beauty to your kitchen with this simple to use Basic Essentials® 7 piece Stainless Steel Tub of Tools designed for a multitude of chores. 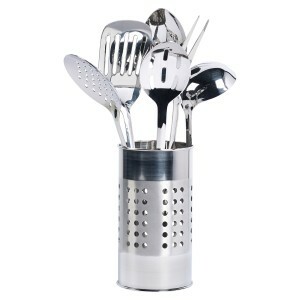 This smart kitchen set from Basic Essentials® includes 6 of the most used kitchen tools. They are designed to do dozens of prep, cook and serve tasks. The stainless steel tub keeps tools organized and close at hand. 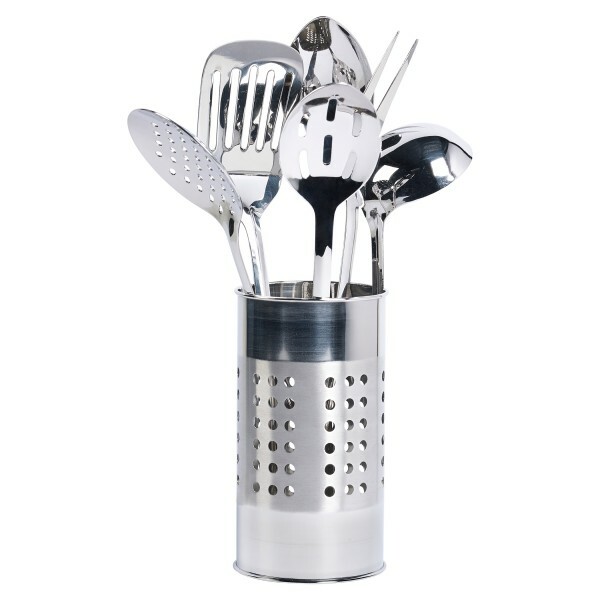 Stainless steel kitchen tools are durable, easy to clean and maintain, and designed for cooks who appreciate their ease of care. This stainless steel tool center’s pleasing beauty will endure for years to come.